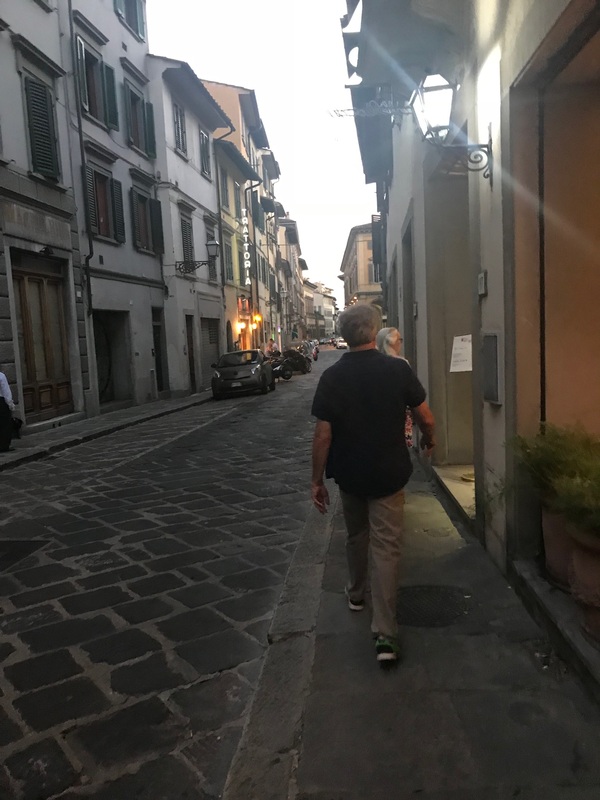 Tuesday: We’re on our way to Florence. 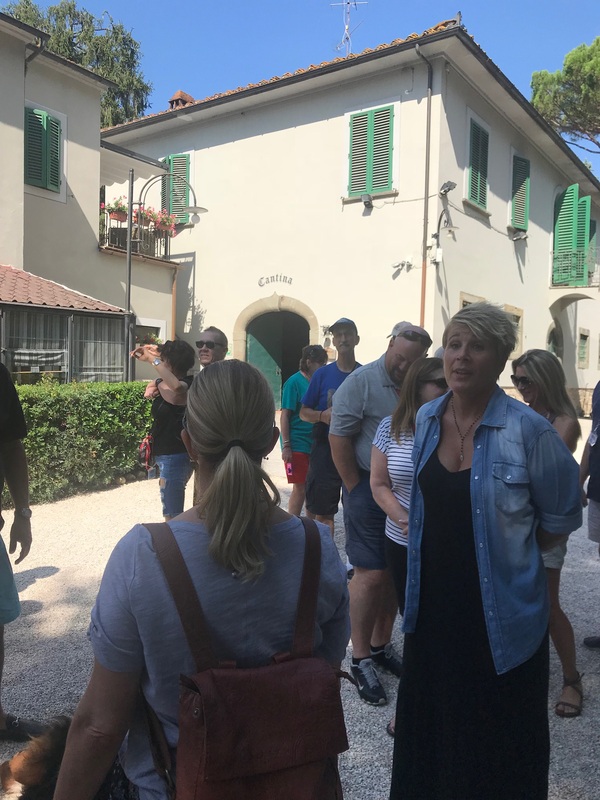 For lunch we stopped at a small winery near Collodi. Why yes, that is Pinocchio, created by Carlo Collodi right here. 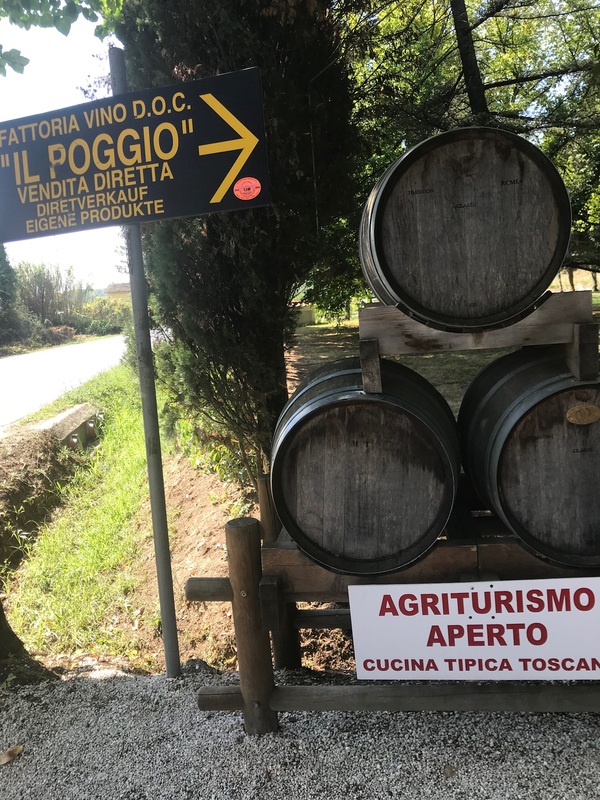 Il Poggio is a small winery, catering to the likes of us. Pamela was one of those women who seem effortlessly chic and lovely. She was also cheerful and friendly. 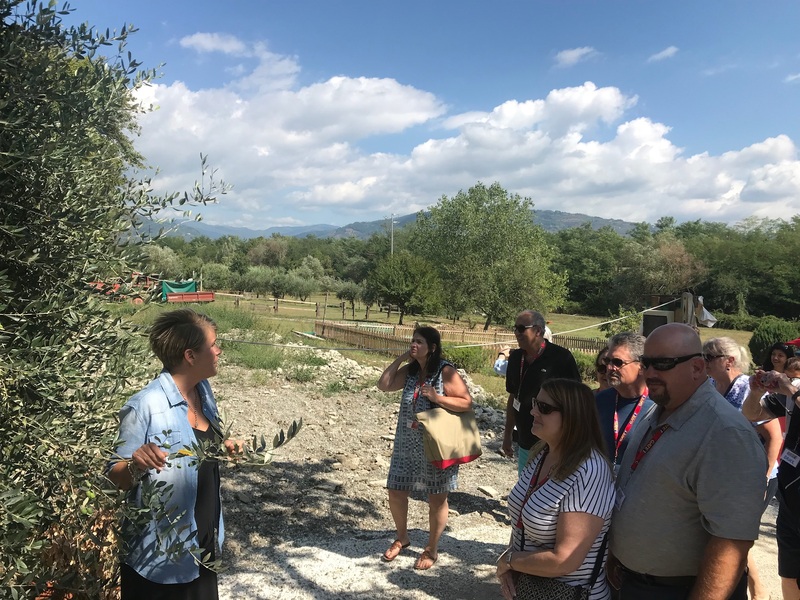 Pamela led us up the slope to talk about olives, grapes, and the wine and olive oil they make. Very alien looking, and they were as sticky as they look. 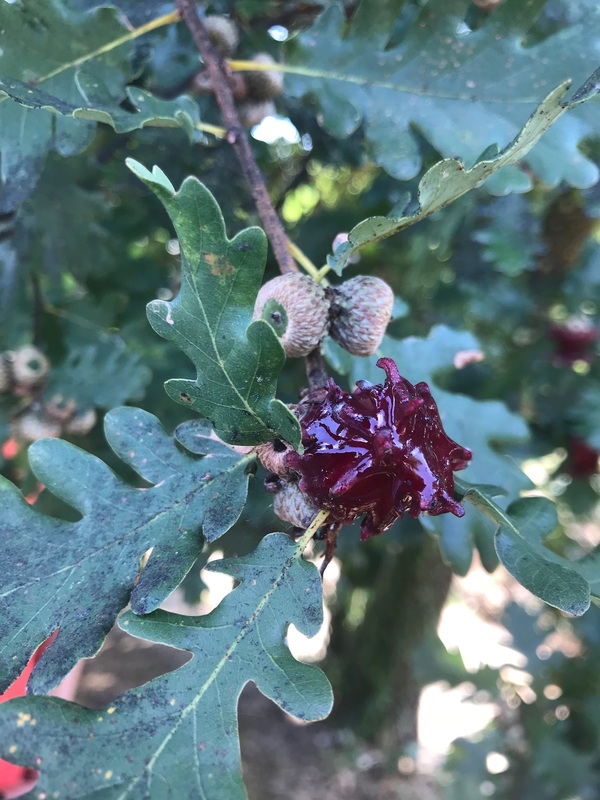 I have no clue what they are, and neither did anyone at the farm. Anyone have any suggestions? 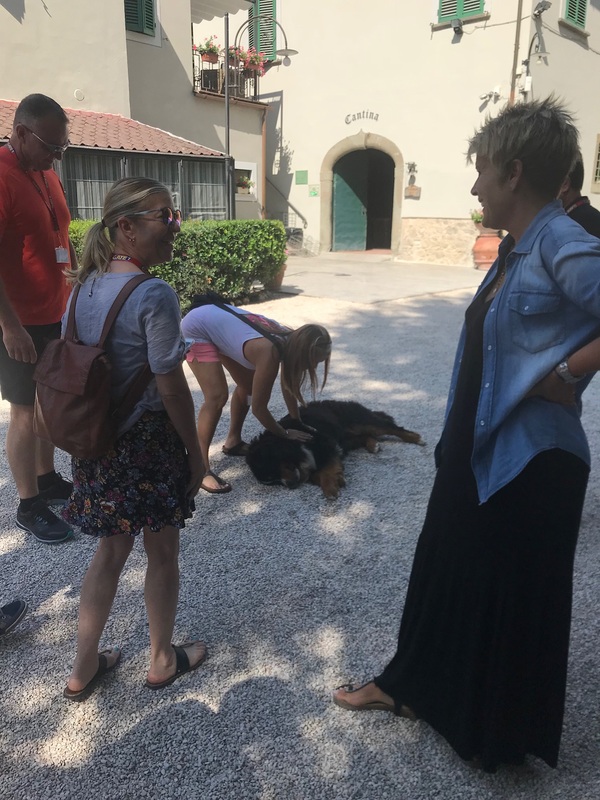 Back down at the farm, we had a hearty lunch—there is no other kind of meal in Italy—with good enough wine that we ordered some to be shipped home. 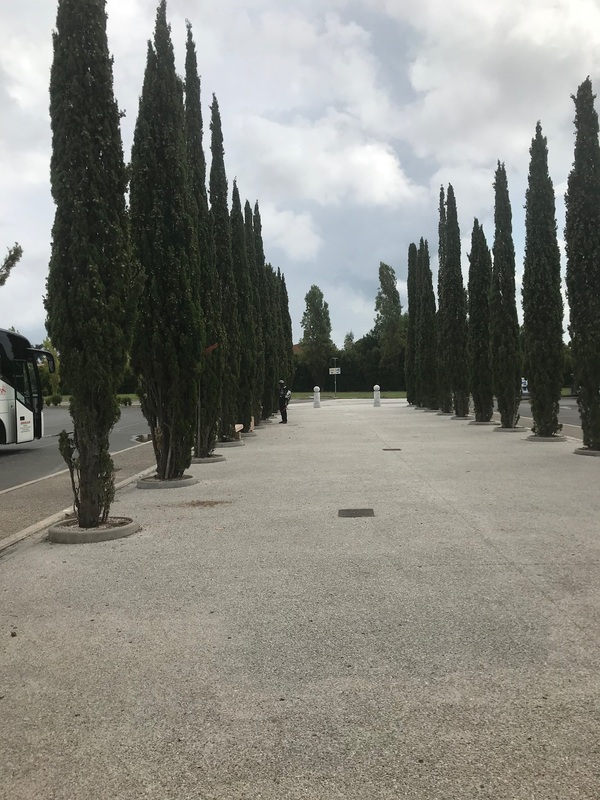 Here’s the thing, though: in the rest of Italy, cypress trees are associated with cemeteries and graveyards. 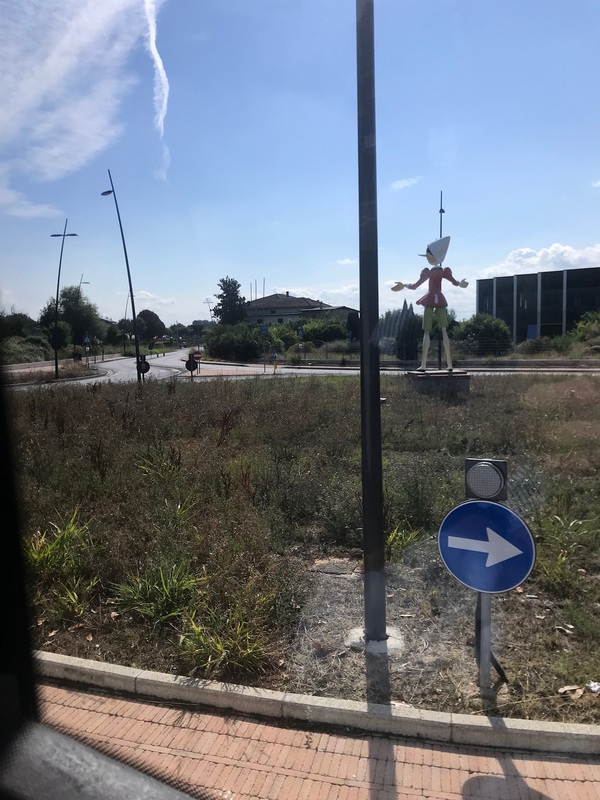 While Tuscany has decided they look pretty and has planted them all over the place, the rest of Italy thinks they look a bit creepy. Too many photos, so I shall put them in an slideshow and you just click through. tl;dr: the Baptistery was beautiful, the church was gorgeous, and we didn’t even really walk over to the Campanile, which I understand is famous for not being upright. Truly, if your time is limited, skip the Campanile and see the church. And do not embarrass us by posing for a photo of you “holding up” the tower. Oy. Often on this trip the bus could not pull up and disgorge us at the destination. 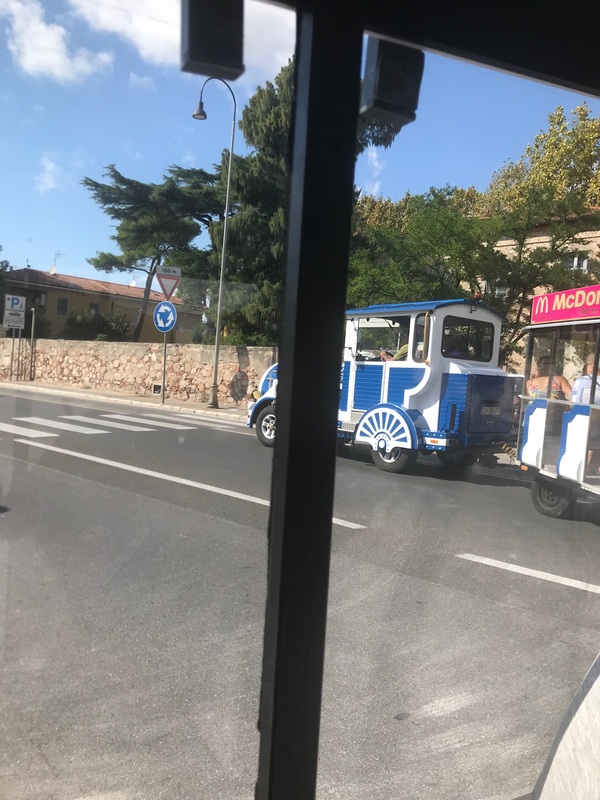 We either had to walk, or in this case ride a little tram which usually transports elementary children to school. 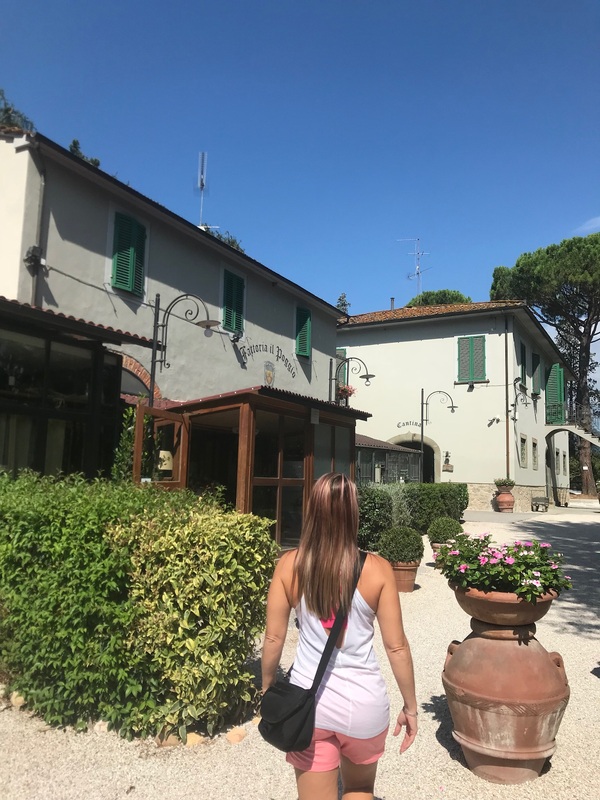 … we came across the Trattoria Tito’s. Wait, cried the LFW, and she riffled through her Top Ten book. This was in fact a highly recommended little restaurant, good food, and “theatrical,” whatever that meant. We went in. Great food, delightful waiters, and not expensive at all! We were asked if we had reservations; no, we didn’t. There was a table open, but we’d have to clear out before 9:30. No problem, we said, we’re Americans; eating a meal in an hour and a half was not a problem. And then we stayed until 11:00. No one ever came to ask us to leave. In fact, we even asked for our check at 9:20–the response was, and I quote, “No! Now we drink!” We then worked our way through shot glasses of homemade lemoncello and an amaro (bitter digestiv). 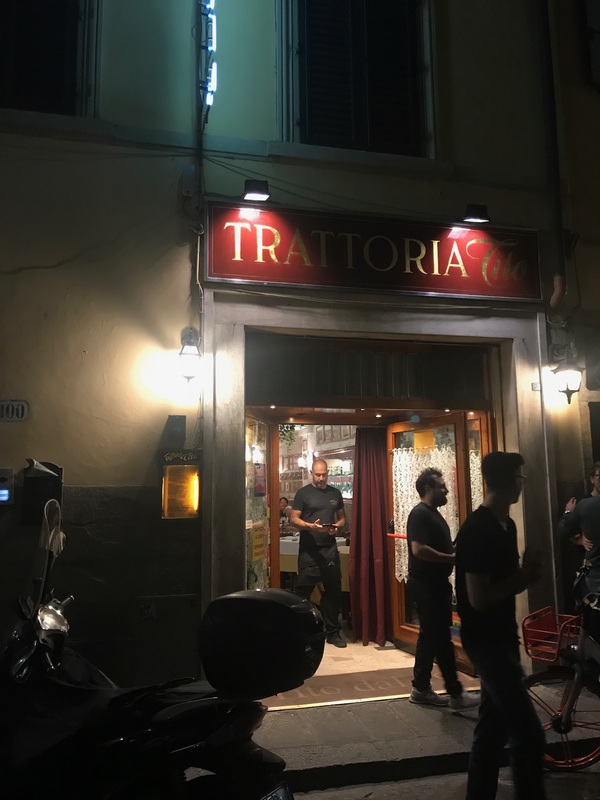 Several of the other tables ordered what looked like a Huge Pile o’ Meat, but we learned the following day this was actually a Florentine specialty: a T-bone steak about three inches thick, cooked very rare, and then chunked up on a platter to be shared. Oh you don’t have to go to Florence to see or take part in a Huge Pile o’ Meat. I know places in Atlanta.